With Stampede just two days away, I've already noticed that people are dressing a little more "western" than usual. 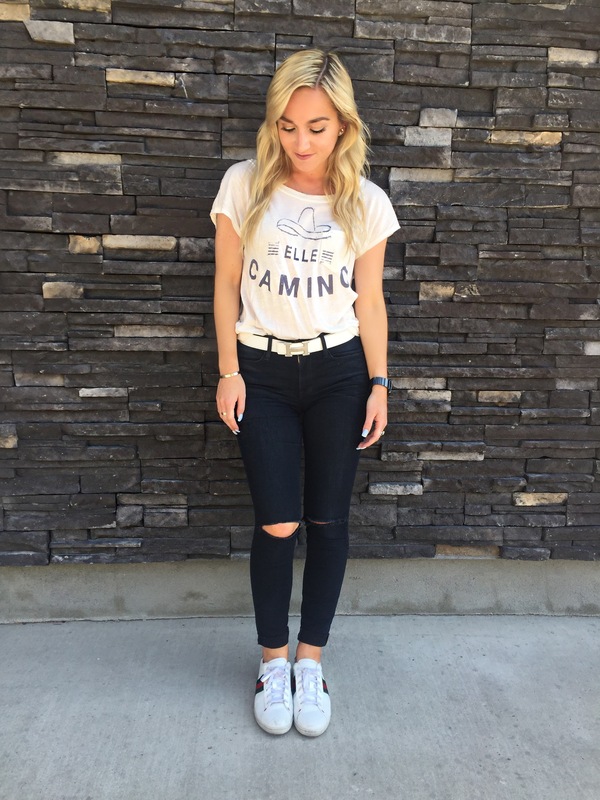 This t-shirt and jeans combo is the perfect "kind of Stampede" look; Jeans are obviously a Stampede staple, and any tee with a cowboy hat on it screams Stampede to me! The best part about this shirt is that I can pair it with jean shorts and boots and I'd be able to head down to the grounds... and when I say grounds I mean the Cowboys' Tent.